Fly over Switzerland & the Swiss Alps with our professional pilots at Smith Paragliding ! Soar with the birds high above the charming Swiss village of Villars-Sur-Ollon. 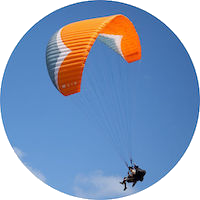 The professional pilots of Smith Paragliding can safely introduce you to the sky; they are masters of all forms of foot launched flight and are recognized by the Swiss Federal Aviation Administration and Paragliding Federation. 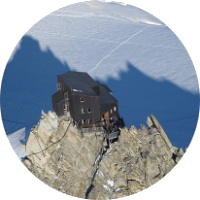 Launch from Villars-Gryon and glide over the mountains of Vaud while enjoying a grand panorama of the Mont-Blanc and the majestic Dents-du-Midi. Reserve your flight with Smith Paragliding for a safe and unforgettable tandem flight. Christophe Smith has spent a lifetime Developing and Promoting The Art and Technique of Foot Launched Flight . We look forwrad to sharing this experience with you! Live childhood dreams of flight, at any age! The professional pilots of Smith Paragliding are recognized by the Swiss Federal Aviation Administration and Paragliding Federation. Are you already a licensed pilot looking to explore new locations around Alps? 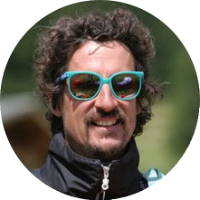 The Guides at Smith Paragliding can ensure a safe cross Alps Tour. Gift Certificats / Bons Biplaces. 150.- fr without photos 190.- fr with photos.